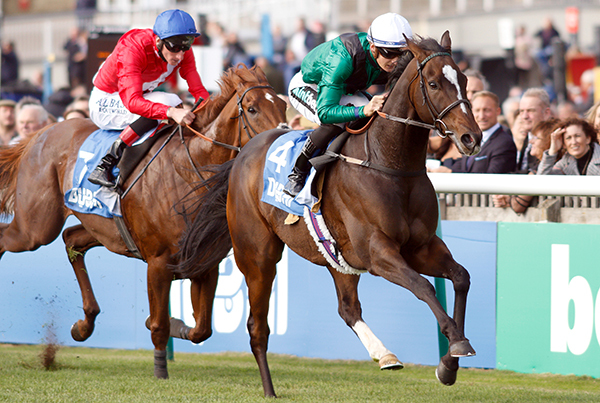 LIMATO - 12 wins, Gr.1 Qatar Prix de la Foret, Chantilly, Gr.1 Darley July Cup, Newmarket, Gr.2 Godolphin Stud and Stable Staff Awards Challenge Stakes, Newmarket (twice), Gr.2 Weber Park Stakes, Doncaster, Gr.3 Pavilion Stakes, Ascot, L., Compton Estates Rose Bowl S., Newbury, L. Price Bailey Chartered Accountants Hopeful Stakes, Newmarket, L. Ryedale House Garrowby Stakes, York, L., Totepool Two Year Old Trophy, Redcar; 2nd Gr.1 Nunthorpe Stakes, York, Gr.1 Prix de la Fôret, Longchamp, Gr.1 Commonwealth Cup, Ascot, Gr.1 Darley July Cup Stakes, Newmarket; 3rd Gr.1 Diamond Jubilee Stakes, Ascot. CANFORD CLIFFS - Gr.1 Irish 2000 Guineas, Gr.1 St. James’s Palace S, Gr.1 Sussex S, Gr.1 Lockinge S, Gr.1 Queen Anne S and Gr.2 Coventry S, Royal Ascot, by 6 l. at 2. Sire. TAX FREE - 18 wins, €725,000, including: Gr.2 Prix du Gros-Chene, Chantilly, Gr.3 Prix du Petit Couvert, Gr.3 Sapphire S; Gr.3 Palace House S, L. Naas Sprint S (twice), L. Abernant S; L. Starlit S also 3rd Gr.2 Prix du Gros-Chene, 3rd Gr.2 Duke of York, etc. ATLANTIS PRINCE - 5 wins, incl. Gr.2 Royal Lodge S, Ascot and L. x 2. Sire. TAGSHIRA - Gr.2 Maurice Lacroix-Trophy, Baden Baden, at 2. HUMPHREY BOGART - L. Betfred Derby Trial Stakes. PURE POETRY - L. Easter S; 2nd L. On The House S; 3rd Gr.3 Caven S and L. Premier S.
DRAWNFROMTHEPAST - L. Windsor Castle S, Royal Ascot, at 2. KING ORCHISIOS - 6 wins, incl. L. Hever Sprint S, L. Cleves S.
DOUBLE VIE - L. Prix de la Californie, Cagnes. BAKEWELL TART - L. Premio Coolmore, Milan. MACAROON - LR Prix de Saint-Cyr, Maisons Laffitte. 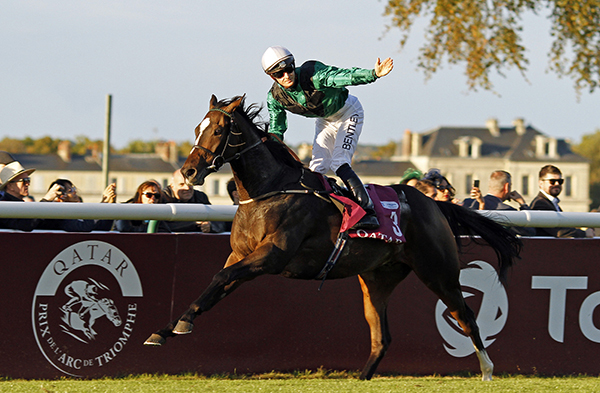 PENTECOST - 8 wins, €400,000, incl. Britannia S, Royal Ascot, Shergar Cup, twice; 2nd L. Superior Mile, 3rd L. Royal Windsor S.
RED MILLENNIUM - L. Lansdown S.; also 3rd Gr.3 Molecomb S, Gr.3 Cornwallis S, at 2. BEAVER PATROL - 9 wins, over €479,000; 3rd Gr.2 Hungerford S; Gr.3 Supreme S.
DRAGON FLYER - 6 wins and Gr./Stakes placed 8 times, incl. 2nd Gr.3 King George S.
Ball Girl 3rd Gr.3 Plusvital Round Tower Stakes, Curragh. For more winners by Tagula, click here.